Hailing from Brisbane, Love Like Hate is a dark pop duo with dark atmospheric electronics paired with beautiful piano melodies and grunge-esque lead guitar lines, with soaring female vocals over top. Its its own thing, borrowing heavily from many but not quite being place-able as “oh yea they sound like x!”. You can find equal parts Purity Ring influenced electronics and classic Goth atmosphere. Opening with “Electric Ships” (By far my favorite song) the album gets off to an intriguing start. The opening could be from any modern electro/pop band, but then they descend into a dark, beautiful verse. 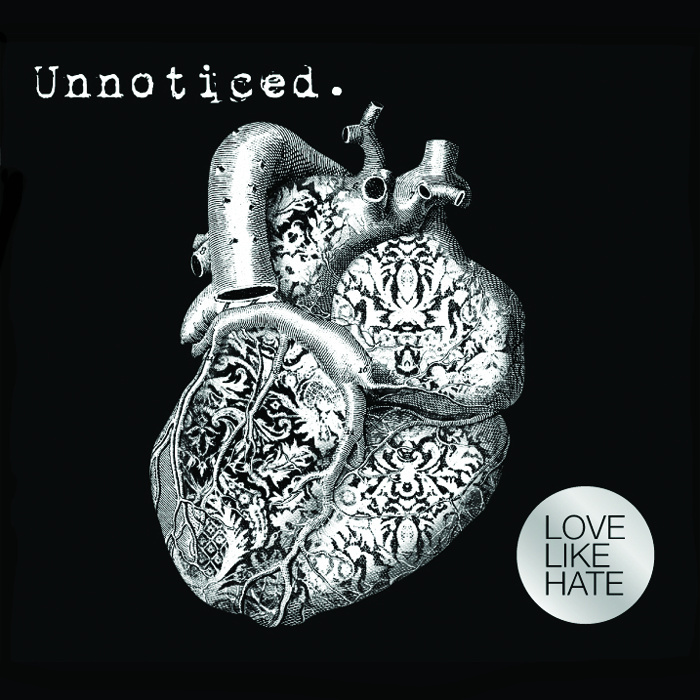 The title track “Unnoticed” is a relatively midtempo song with a rhythm section part sounding much like the German electronic goth scene headed by Blutengel. “List” is something of a power ballad; it’s a slower song with crescendos up and down, ending in some beautiful piano-string-voice trio work. All of the songs have the same dark atmosphere but what the band manages to accomplish within this is what sets them apart. Personally I’m not a huge fan of the ballads, but objectively speaking there is not a bad song on the album. There are only 5 songs on the record although it is not listed as an EP. All songs are clean!